I sort of revamped it, giving it a coat of spray paint around the frame and hung it up on our dining room wall. 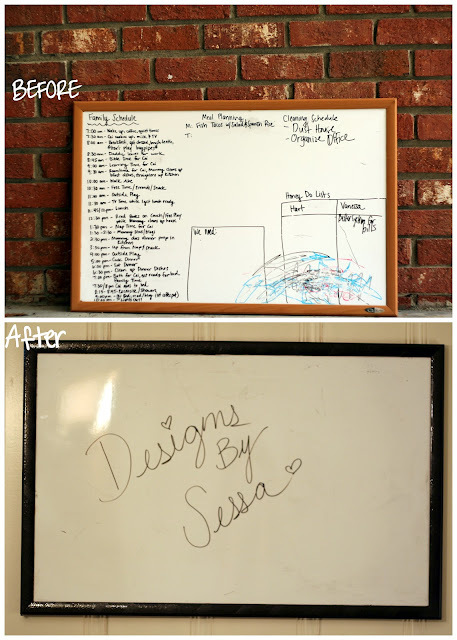 This dry erase board has been such a help to our family at staying efficient. In one corner, I list all of our upcoming bills that are not an automatic draft. Hart and I can get really close to "forgetting" to pay for these more "unexpected" bills, so having a spot that stares you in the face every day telling you to pay them, has been really helpful. I highly recommend it. That's not really the point of this post though. The point is, our debts to be paid, seemed so impossible to get paid. I couldn't imagine how we would be able to chink even a tiny amount out of it. We've already cut back in any way possible, or at least that's what we had thought. I prayed that God would help us completely get out of debt. That HE would move the debt mountain. I wish I had written down the entire amount of our "debt snowball", but it was probably upwards of $3,000. We had to fix the blazer to get the air conditioner fixed this summer. That was $1100, we had other miscellaneous bills, and we had almost a $1700 hospital bill to pay off, so maybe it was more that $3,000. I just remember the 2 largest ones. 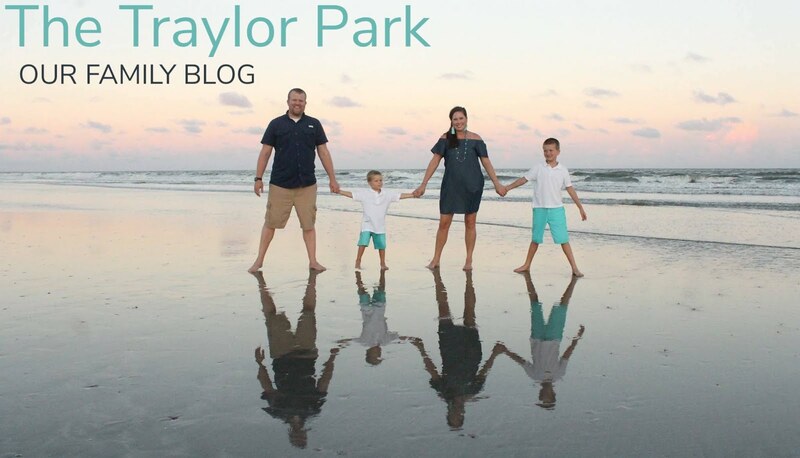 It just seemed so high for our income, but I knew God would handle it, if we continued to be faithful and give it all over to him, not overspend, and really try to cut back even more. Then, our 2nd car died. As you know it was devastating, especially for me. I just couldn't believe we had payed $1100 for a car and we had "thrown" that money down the drain. Plus, I'm the one that got imprisoned in our home. Okay, I know that's dramatic. But, the funny thing is, God knew that if the Blazer died, and we were able to sell it, and if we only lived with one car right now, saving on a 2nd car of gas, and insurance, then my prayer of getting our debts payed off would actually become a reality. Not to mention that Hart was blessed with being able to sell some land to a client, and get a little extra income that way to help, as well as, a few side jobs doing yardwork. Through all of that, I can boast in only the name of Christ, that God is the One that despite losing a car, is blessing us beyond what we can imagine. He moved the high mountain in front of us, and now we only have $667 left of that debt snowball paid off in just a few months time. We know things will probably arise. In fact, some already have. This past week, our plumbing clogged, and I couldn't do dishes or laundry, for a whole day. It was WONDERFUL ... well, you know what I mean. You kind of get this knot in your stomach when you open your dishwater and water floods out on the floor, but I knew God would handle it! Well, remember how Hart sold some land to a client? Hart honestly didn't want to be his agent at first. It was not a lot of commission and he would have to drive almost an hour out to the listing each time he had to do something. It really wouldn't even be worth the gas, but the man, A PLUMBER, convinced Hart that if he had a plumbing issue, that he would do it as a favor, if Hart would be his agent for him. At closing, Hart had no need of a plumber. Two weeks later, he did. So, we were able to call him and get everything fixed without paying a dime. Well, almost... he did find a few areas that we need to look into getting worked on in the future, but nothing right this second. Seeing God orchestrate all of that around us is truly incredible. So, now I can say how thankful I am that we only have one car right now. There are definitely some difficult moments with not having another car, but God has been so gracious to us, that Hart's parents have lent us Jane's car whenever we need it, and almost every weekend, since the Blazer died. We are truly so thankful for this blessing. I pray that seeing how God is working in our finances for His glory, will encourage you wherever you are that the highest mountain that seems too high, is not to high with God. Please continue to pray for the 2 listings that Hart has, that they would sell quickly. And that even though real estate sometimes slows down during the fall/winter months, that God would bless The Mather Company two-fold during the winter and lead them into an even busier Spring. Please continue to pray for the baby/child/children that God is preparing for our family through adoption. Please pray that we will continue to give God glory in all areas of our lives, so that there is less of us and more of Him! And let us know how we can be praying for YOU!